Care4Calais is not just a charity, we are a community. We are passionate about what we do and we know how vital our charity volunteers are. Everyone has different strengths and skills to offer in our mission to support refugees with direct aid (warm clothing, tents, sleeping bags etc,) as well as much needed social interaction and support. Volunteering with us is an impactful and insightful way to help refugees on the front line of the refugee crisis. 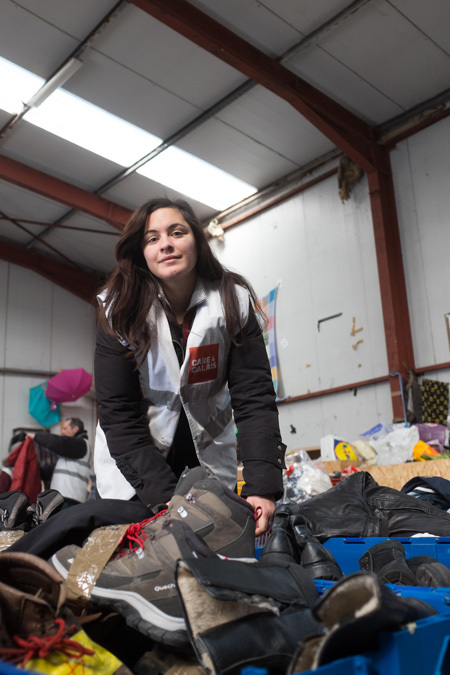 As well as gaining first-hand experience and getting to know those fleeing their countries for a wide variety of reasons, you will become part of the Care4Calais community – we are a friendly team and your help will make a big difference. Whether you can volunteer for a weekend, a week or a few months, we would be very grateful for your help. For more information about volunteering, please get in touch by clicking the button below to email our team who will send you more information and answer any questions you may have.